The town of Paphos is located at the south-western end of Cyprus, between the Toodos Mountains and the Mediterranean Sea. It is known for attracting lots of sun seeking tourists every year for a numbers of reasons. 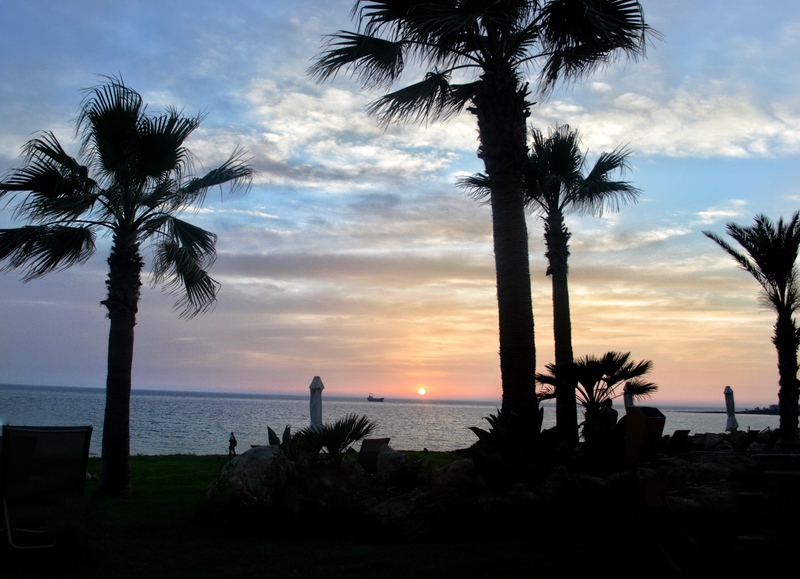 Paphos is renowned as the birthplace of Greek goddess Aphrodite. 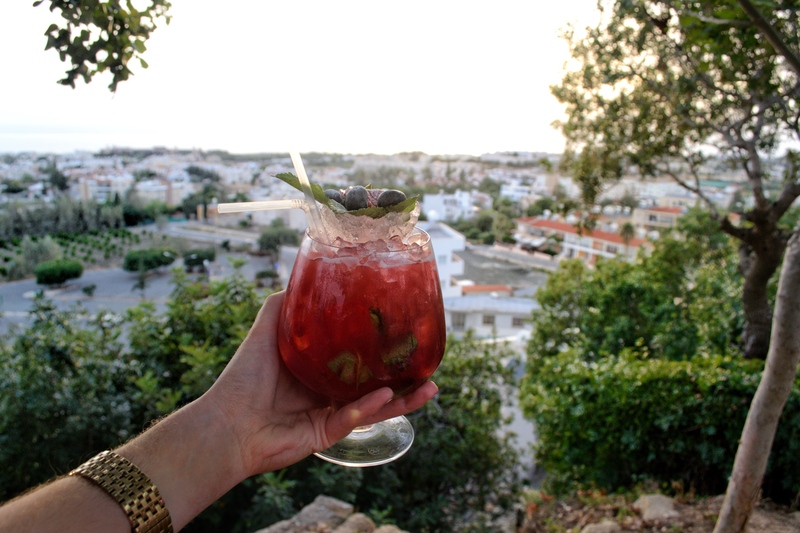 Evidence of the island’s past includes the main archaeological sites as well as most hotels and tavernas. 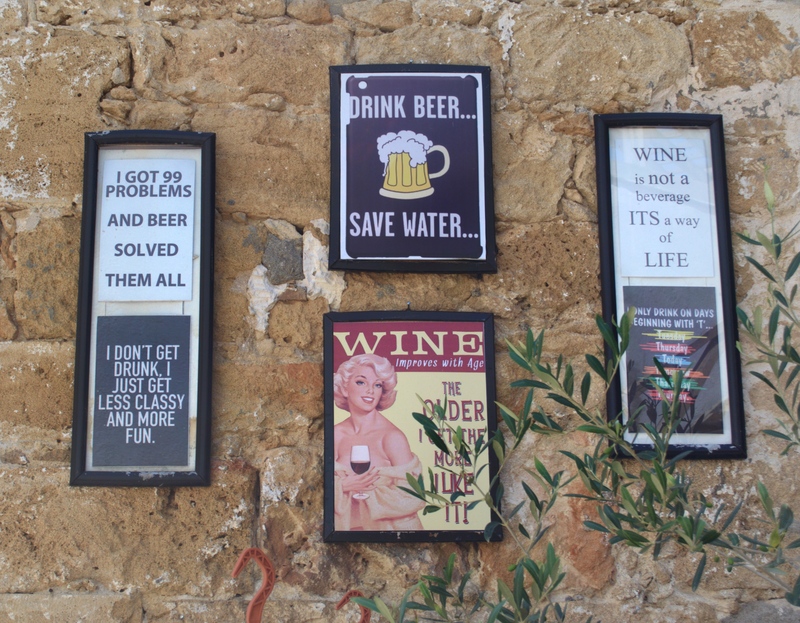 They can be found in lower Kato Paphos by the sea. 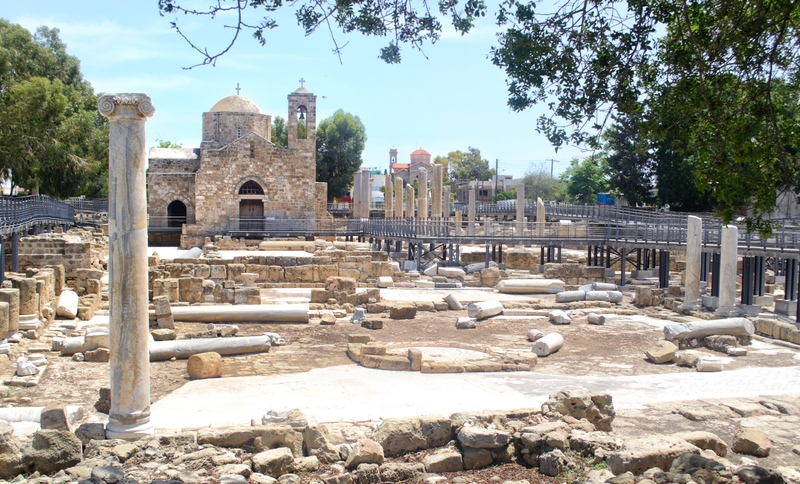 The Old Town of Paphos as well as the commercial centre and industrial district are located further inland. If you are planning on exploring these areas, what are the best things to see and do? Well, here is a quick guide that also includes how to get there and the best time to visit. Both charter and scheduled flights go direct to Paphos International Airport. I flew direct from Dublin with Ryanair which was very convenient and the flight time was just over 5 hours. Ryanair do this route twice weekly and they also fly into Larnaca. Paphos airport is located around 20 minutes away by car from the main town. 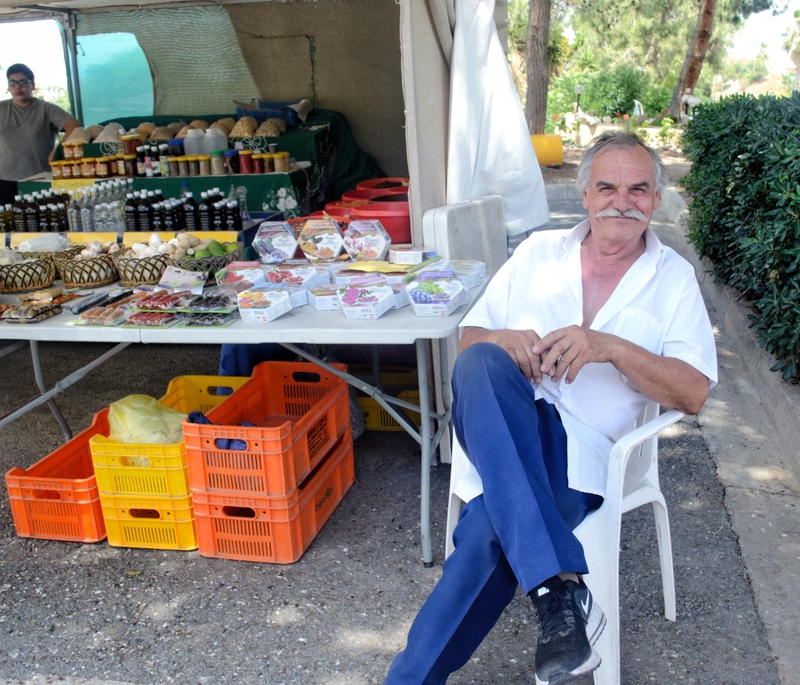 But if you are not hiring a car, buses run every hour from Paphos Airport to Kato Paphos in the summer. 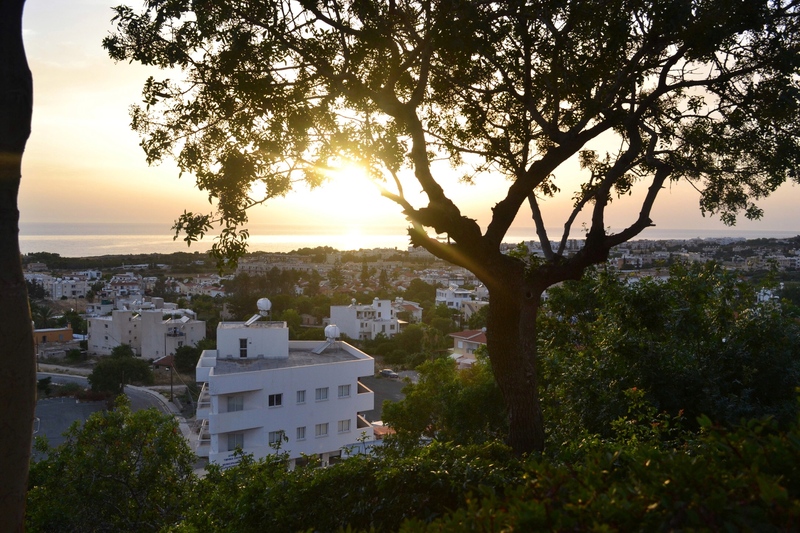 The best time to visit Paphos is either late spring (up to mid-June) or autumn (until early November). At the height of the summer season, tourists may find the high temperatures uncomfortable and dealing with holiday crowds can be tough. 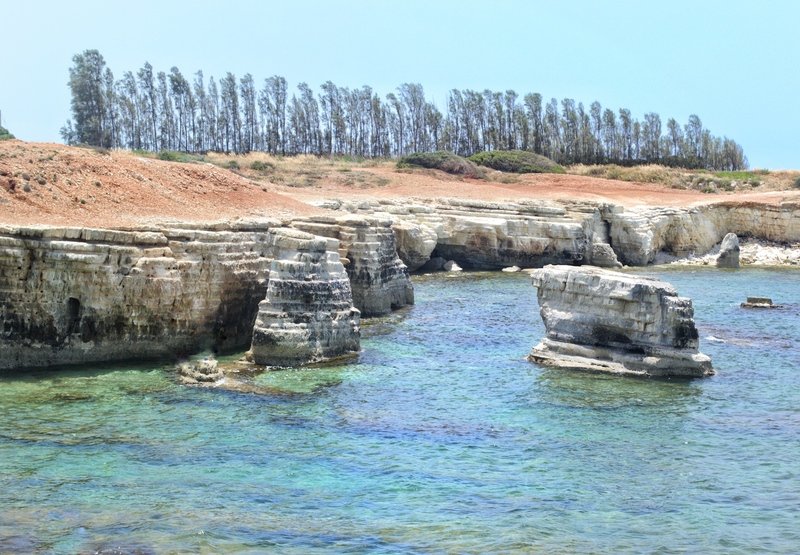 While some resorts tend to close from New Year’s to April, visiting Paphos in late winter should also be considered. A post Christmas break perhaps? I stayed at the 4* Capital Coast Resort & Spa for 3 nights. 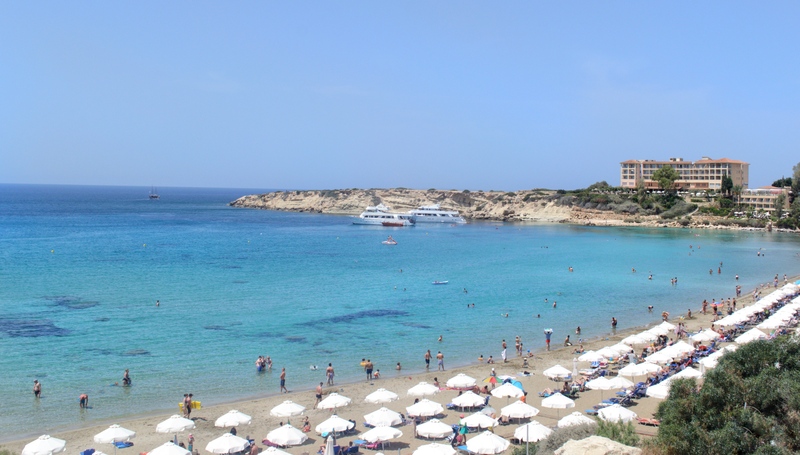 It is located between the ancient harbour of Paphos-Cyprus and the beautiful sandy beach at Coral Bay. I stayed in one of their superior suites for the duration of my stay. The suite was spacious and offered a home away from home experience. There was a double bed in the en-suite bedroom, a flat screen TV in my room and in the sitting area. There was also a second bathroom, a kitchen area and a second wardrobe. I also had a large balcony with an entrance from my room and from the sitting area. I had a few issues with the wifi in my room which was unfortunate. There was a buffet breakfast available each morning in the main dining room. It was basic enough but it did the trick. On the first night we also had dinner at the hotel, it was also quite basic so we decided to venture outside of the hotel on our second night. The bar area was really nice, the service was great and there was live entertainment too. The drinks were very reasonably priced which was a bonus. One of the afternoons we had some chill time so we headed to the pool for a cocktail. The pool bar offered a range of drinks which again were all very reasonably priced. The hotel also offered complimentary scuba lessons in the pool each day which I thought was brilliant. Unfortunately I didn’t have time to try this out but next time it will be top of my list as scuba diving is something I have wanted to try for years. Overall, I enjoyed my stay at the Capital Coast Resort & Spa. If chasing sunsets is a hobby of yours then you will be spoilt as the view from the pool and water front is pretty incredible. Tip – have your camera ready to go! 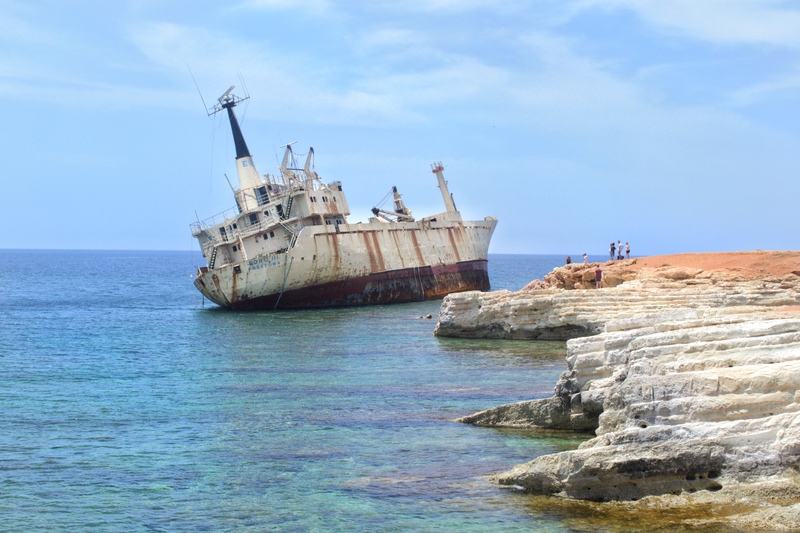 The shipwreck is a few miles along the same road towards Peyia and the Sea Caves area. This wreck is right on the shore. To get down to the shipwreck you have to get off the main road and go down Sea Caves Avenue. This unsurprisingly takes you past the Sea Caves hollowed out of the cliffs. The water here is crystal clear and azure blue and I found the whole area very atmospheric. The road weaves its way down through fields of banana plantations, with villas scattered around, towards the shore where the Edro 111 lies up against the rocks. This place was definitely one of the highlights of my trip to Paphos. The ghostly atmosphere at Tombs of the Kings outside the northern walls of Paphos town, is best experienced early in the morning. Much of this fascinating necropolis, an imposing series of caves and soft sandstone tombs, dates back to the 4th century BC. It is the final resting place not for royalty, but local nobility. Such a beautiful spot. It opens from 8.30am daily and tickets are €2.50. 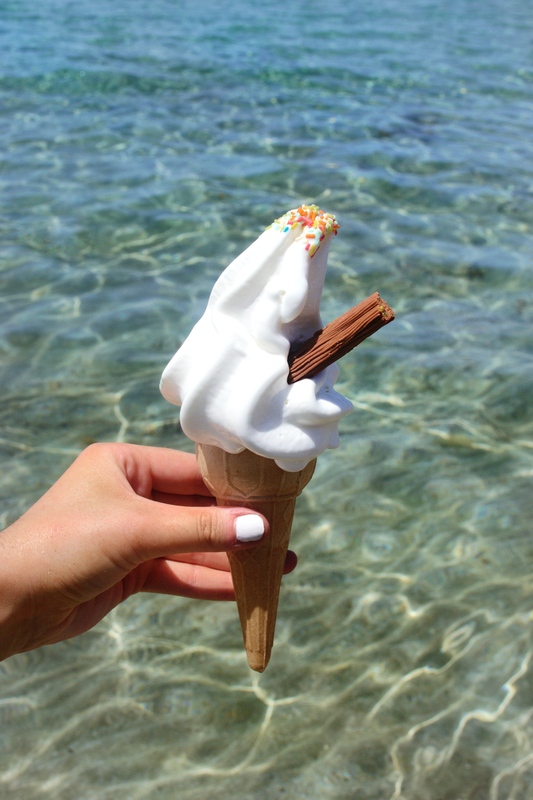 You had me at crystal clear water, blue skies and ice-cream cones! Coral Bay is a popular tourist resort in the Peyia municipality 6km North of the city of Paphos. The coast to the north and to the south of Coral Bay is characterized by rocky headlands and sea caves. A beautiful spot to work on your tan, build sand castles and why not do a few water sports while you’re at it? 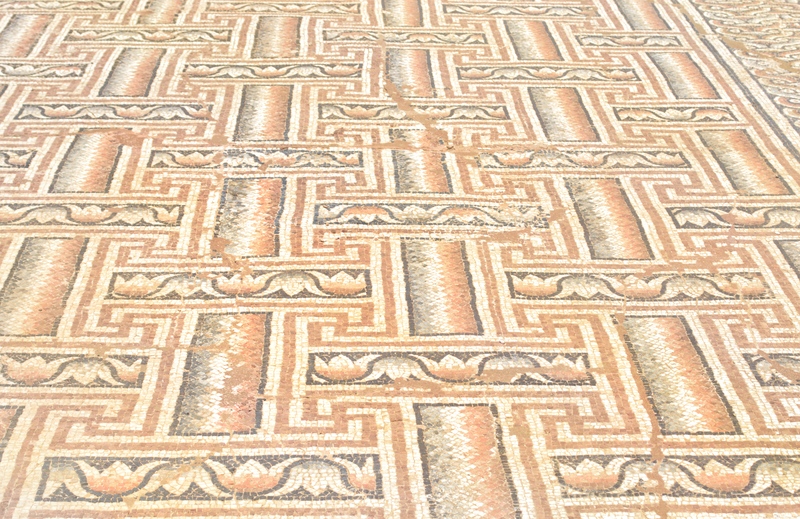 Kato Paphos Archaeological Park houses the most impressive Roman mosaics in the eastern Mediterranean. 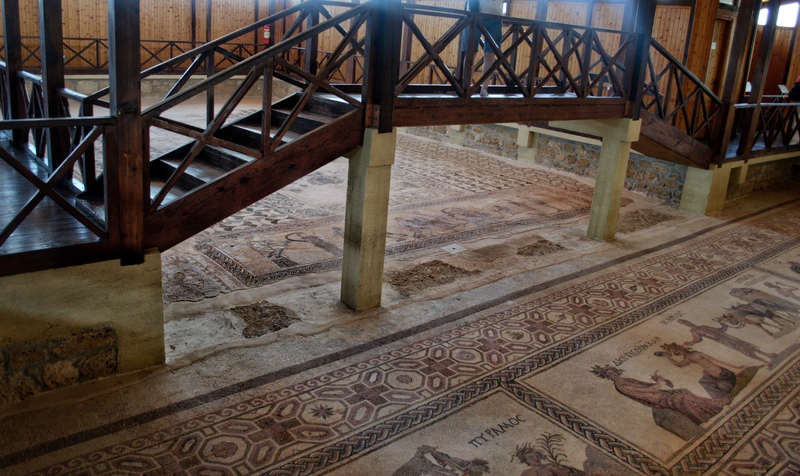 The House of Dionysius contains some incrediable mosaics. A must-see attraction for history lovers. Monuments on display include the basilica of Chrysopolitissa, the Hellenistic theatre, and the Saranta Kolones (forty columns). It opens daily from 8am and tickets are €4.50. Nothing beats wandering around an old town, browsing through traditional shops and meeting the locals. 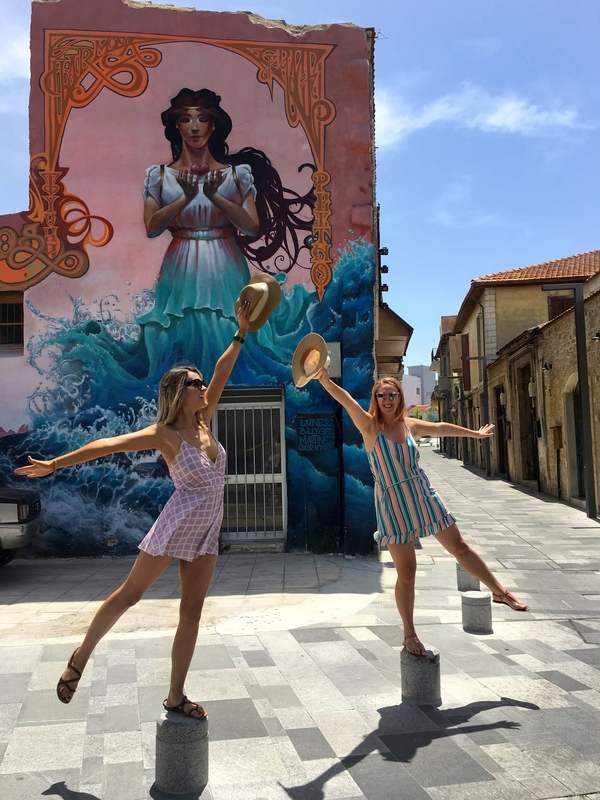 If you visit Paphos Old Town you need to stroll around the local market, where you can find everything from fruit and vegetables to jewellery and lace. 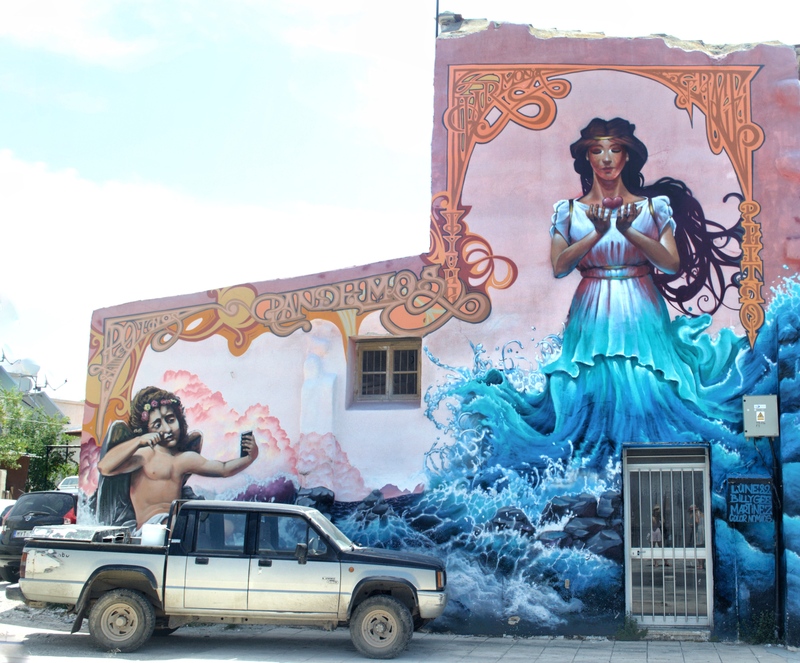 As well as the arts and crafts and insane street art you can also sample some local wine, as production goes back as far as 6,000 years. Fun fact – Cyprus boasts the oldest named wine still being made today – Commandaria. The Hanky Tree – Make a wish! The Agia Solomoni catacomb is a small glimpse of both history and belief. 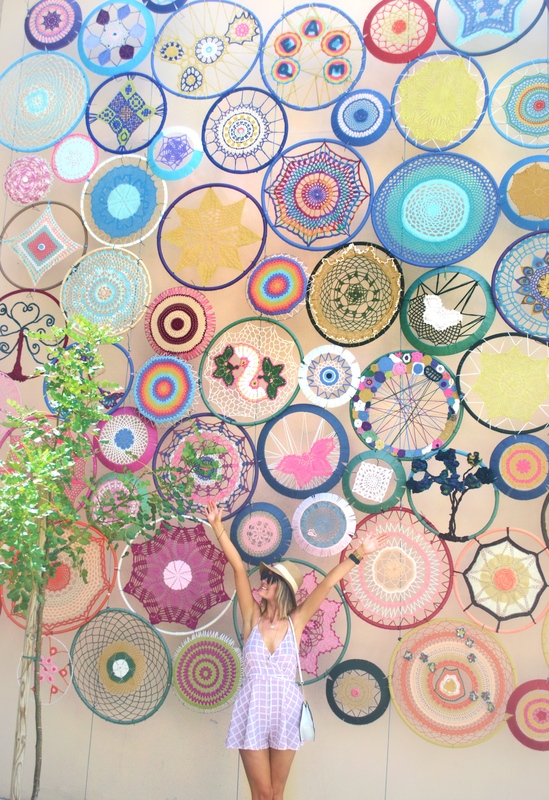 If you wish for something you hang a handkerchief or similar on the tree or the gateway. We were driving past this early on our first morning and it caught my eye so I had to stop for a browse. It’s worth a visit if you are on the way to one of the larger sites. Are you a fan of arts and crafts? The Place (opens 9am daily and closes on Sundays) is a hidden gem and a must for the whole family at any time of the year. 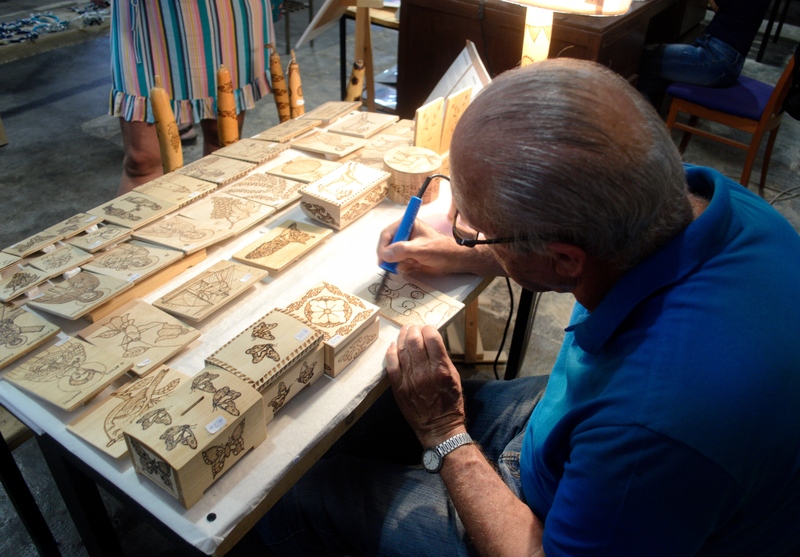 The Cultural center includes over 12 workshops with over 12 artists in total, it is the perfect spot for authentic hand crafted items (art, crafts, local products etc.,) visitors can learn about the local customs and traditions. We were lucky enough to catch a few demonstrations from the artists. 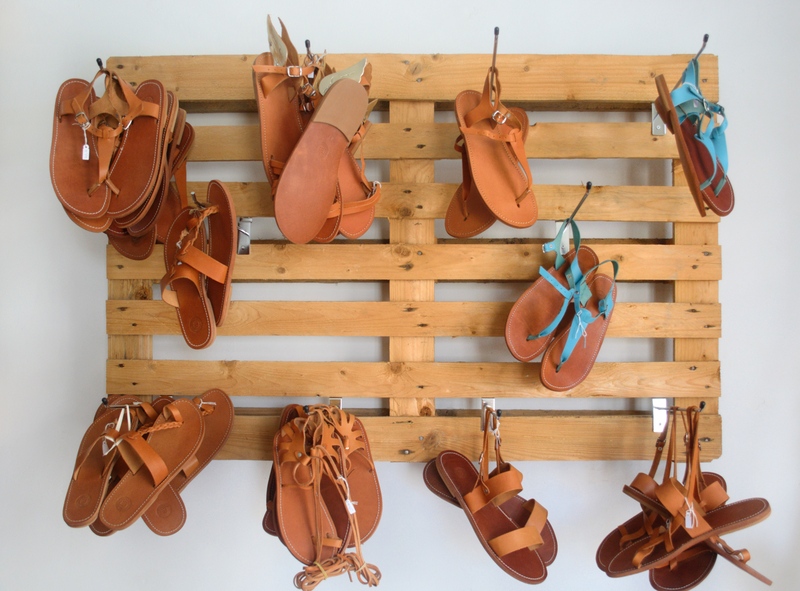 I could easily have bought a suitcase worth of glass dishes, artwork and sandals. Fun fact – they make unbelievable ice coffees here too. 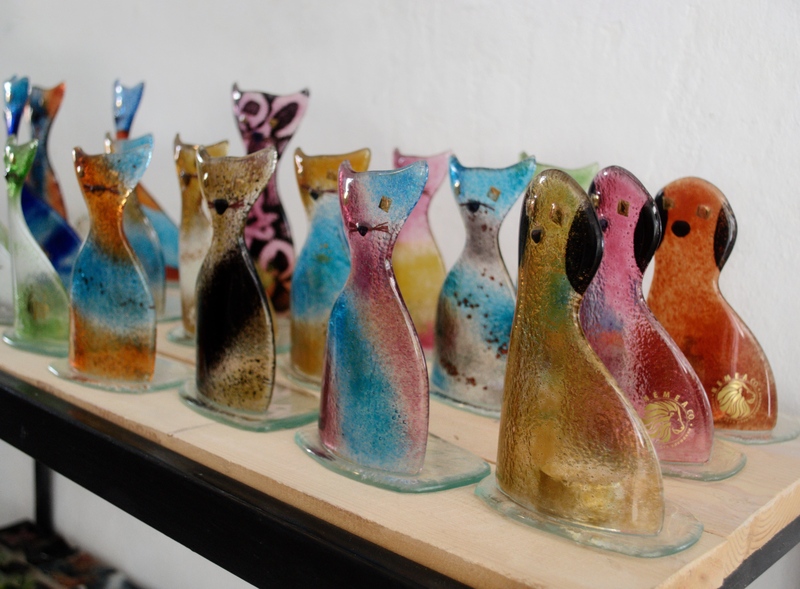 • All art and craft creations and a wide range of artisan gifts are exclusively available for sale. 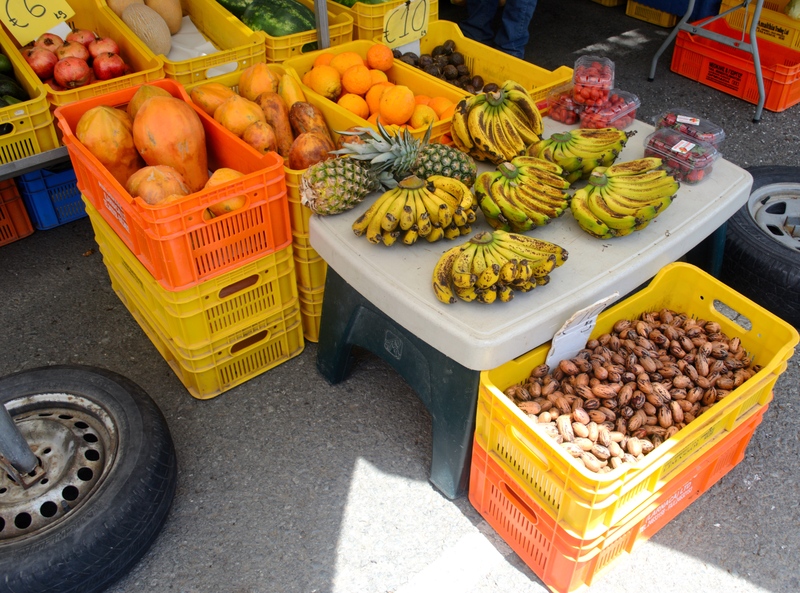 • Traditionally homemade products from local producers. 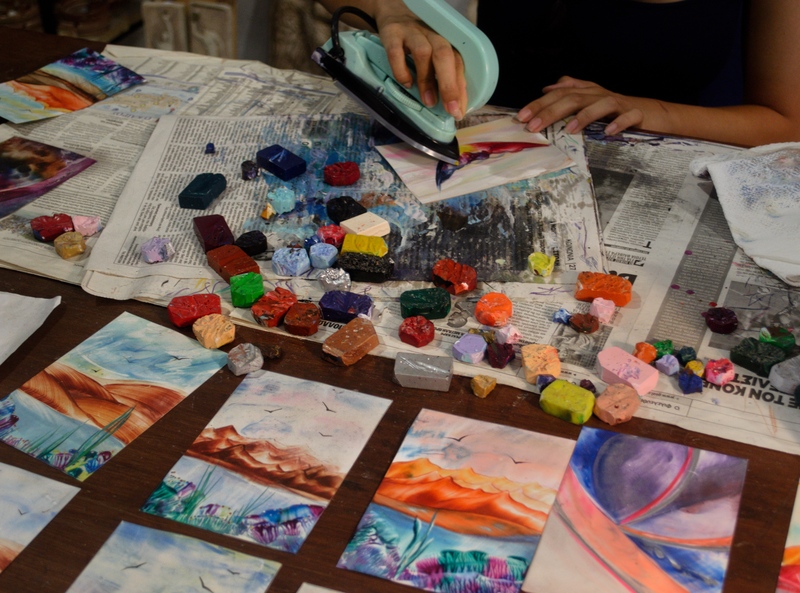 • Adults and kids can create their own piece of art. A must if you’re in the area. The medieval castle was originally built as a fort to protect the harbour. It was then rebuilt in the thirteenth century after being destroyed in the earthquake of 1222. In 1570 it was dismantled by the Venetians. After capturing the island, the Ottomans restored it. 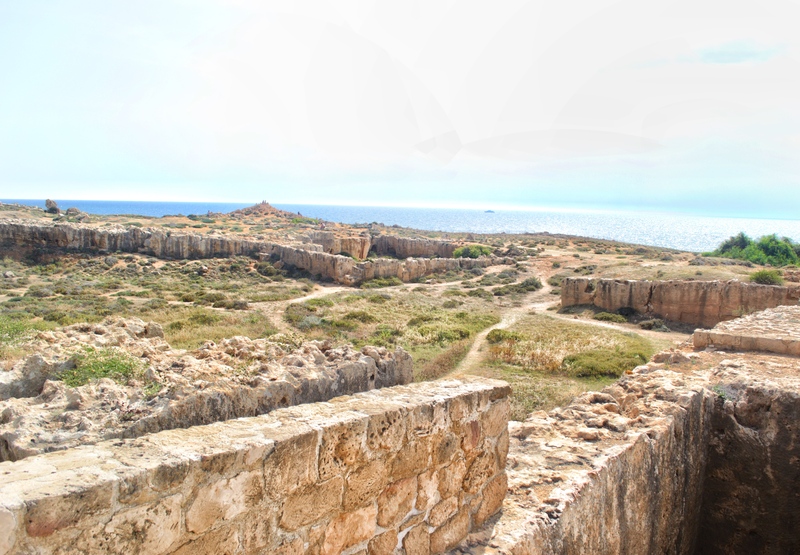 Since then it has served as a fortress, a prison and even a warehouse for salt during the British occupation of the island. 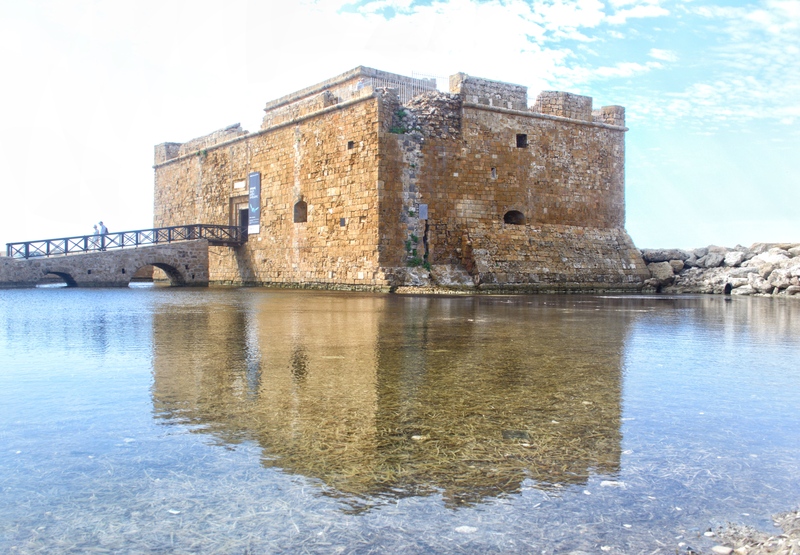 More recently the castle serves as a backdrop to the annual open air Paphos cultural festival which takes place in September. We took the Mediterranean One to the Blue Lagoon on our second day. There are two Alkamas cruises available daily. 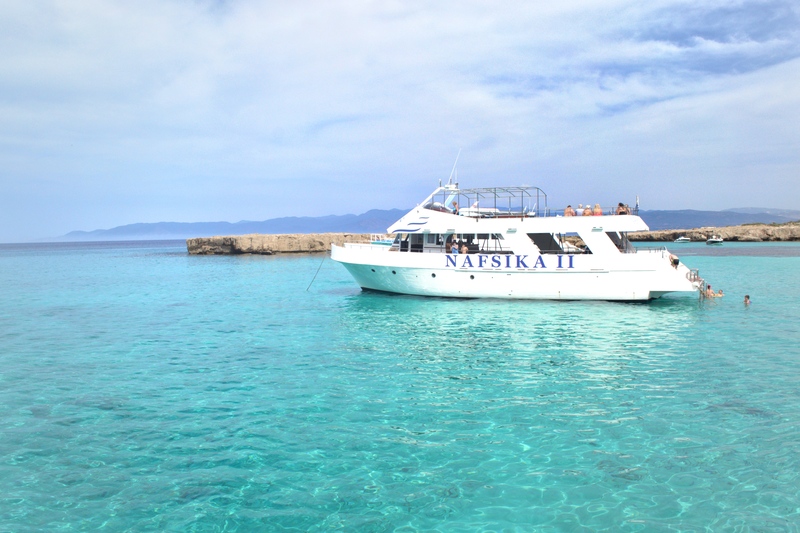 The first departs from Latchi Port at 10:30am in the morning for a day trip west of Paphos and it returns at 1:30pm in the afternoon and the second cruise departs at 2pm in the afternoon and then returns at 5pm. The first stop was a bay called Aphrodite’s Baths and there was a few really good photo opportunities here. After this, we continued towards St. George’s Church and then sailed on towards the Isle of St. George. Soon after this we arrived at Manolis Bay which is famous for its sea caves. The Mediterranean One then sailed to the Isle of Chamili better known as the Blue Lagoon. This is a popular spot as it is known for its blue crystal waters. We stopped here for an hour and took full advantage of the water. There was plenty of swimming and snorkelling and of course we couldn’t not end the boat trip without an ice cold mojito. A walk along the harbour is essential as it is a great place to eat, drink or shop for souvenirs, with plenty of choice for each. A nice spot for trying local cuisine and catching sunsets. There are a lot of restaurants so be prepared for restaurant owners offering tables as you walk along. This aside you’re likely to enjoy the experience. 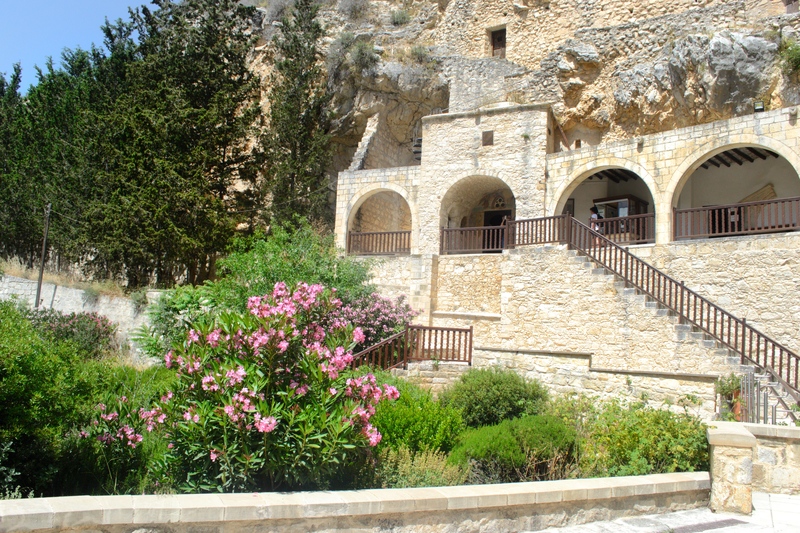 Saint Neophytos monastery is about 10km outside Paphos (approx. 10 min drive), near Tala village. 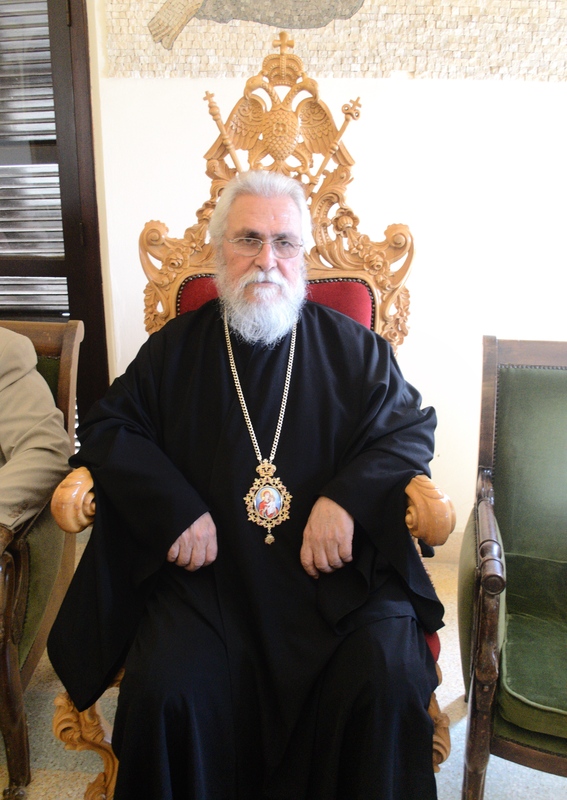 Saint Neophytos was the founder of the monastery in 1159. He lived there and died in 1219 at the age of 85. The main church of the monastery was built around 200 years after his death and is dedicated to the Virgin Mary. A famous painter, Theodoros Apsevdis, undertook to paint the frescoes in the Enkleistra. 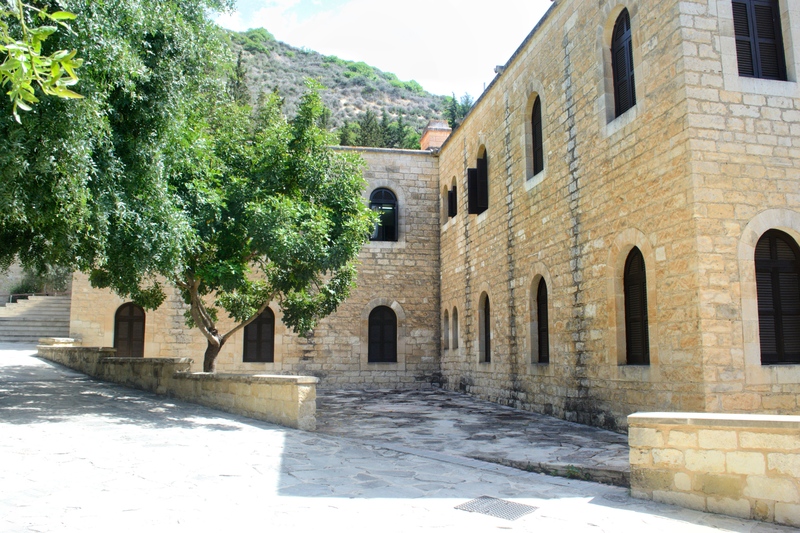 You can also see Byzantine icons of fantastic artistic quality in the main church of the monastery and also visit the museum of the monastery, which has exhibits from both the ancient period and Byzantine period. Interesting places for the visitor are the cave with the cell of Saint Neophytos (Enkleistra). The Enkleistra, an enclosure carved out of the mountain, contains some beautiful Byzantine frescoes. On our way out we were kindly invited for some traditional coffee and cake which was a lovely experience. 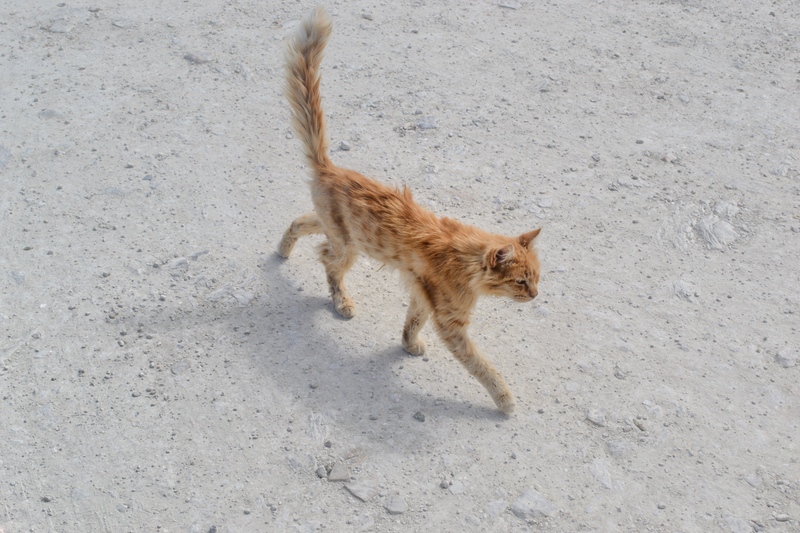 The Tala Monastery Cat Park is a must for cat lovers and for anyone who wants to add another dimension to their stay in Cyprus. 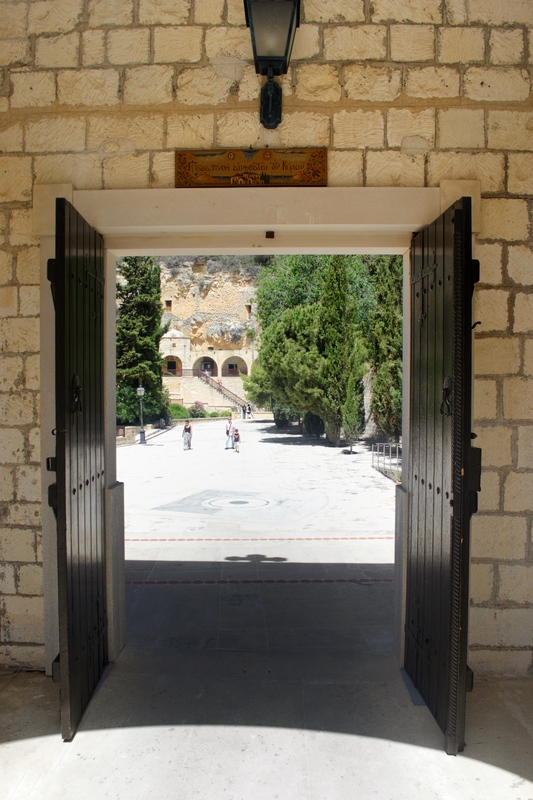 The site is just a few hundred meters away from the Agios Neofytos Monastery so I would definitely pop in on the way. 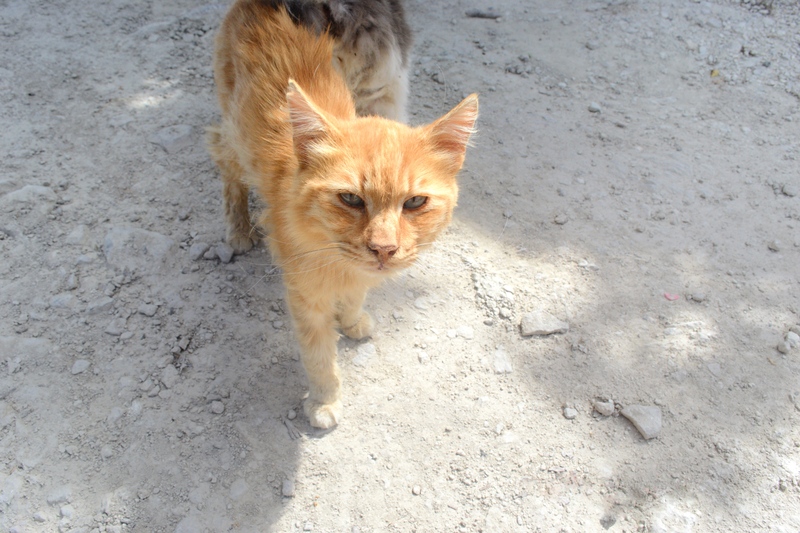 It is a cats sanctuary, run by a group of volunteers, that looks after hundreds of feral cats, most of whom have been strays or abandoned. The Cat Park relies 100% on support and donations from the public as it receives no funding. Anyone can come by, between 10am and 2pm 7 days a week. 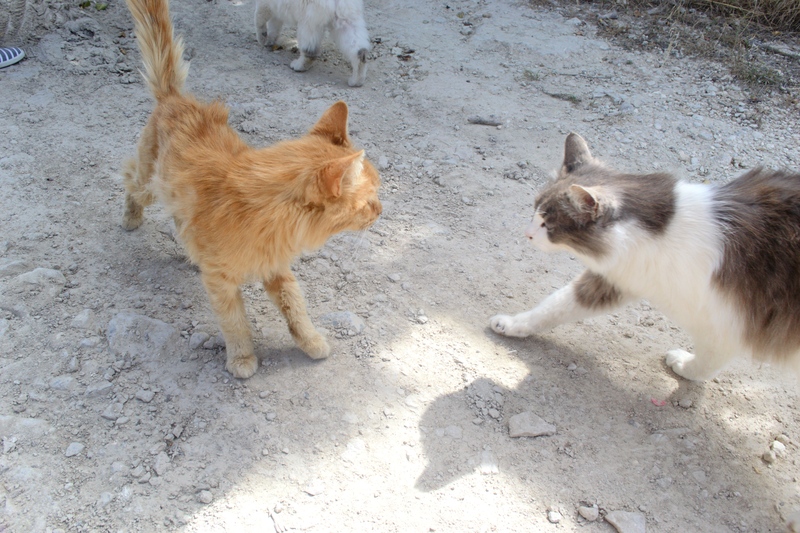 From the second you enter the cat park, you will be surrounded by cats looking for your affection. The Cat Park is approx. 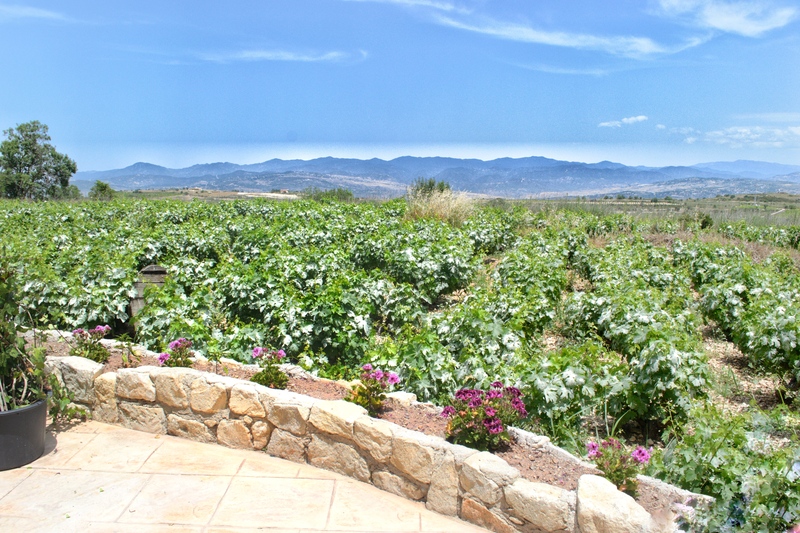 6 miles north of Paphos town centre. If you’re a fan of fish then make sure you check out Theo’s in the harbour, where freshly caught fish is cooked to perfection. 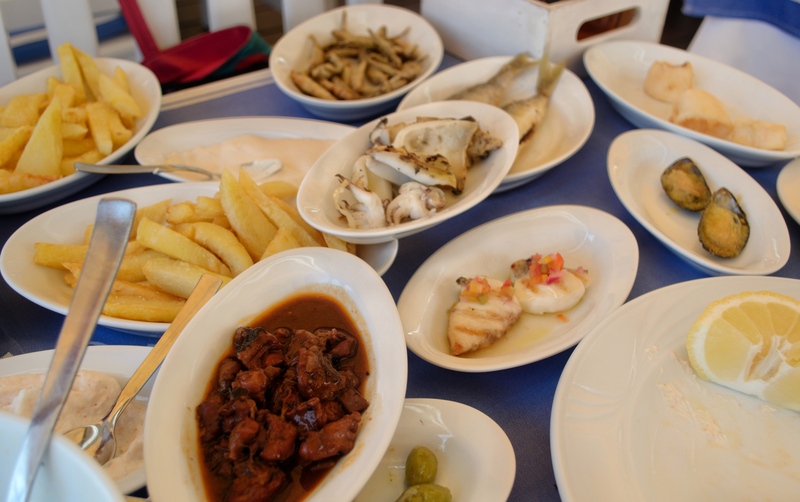 We were spoilt for choice with the meze (similar to tapas) of swordfish, calamari, whitebait and prawns…the fish list goes on. The waterfront setting, in the shadow of the medieval castle, could not have been nicer. 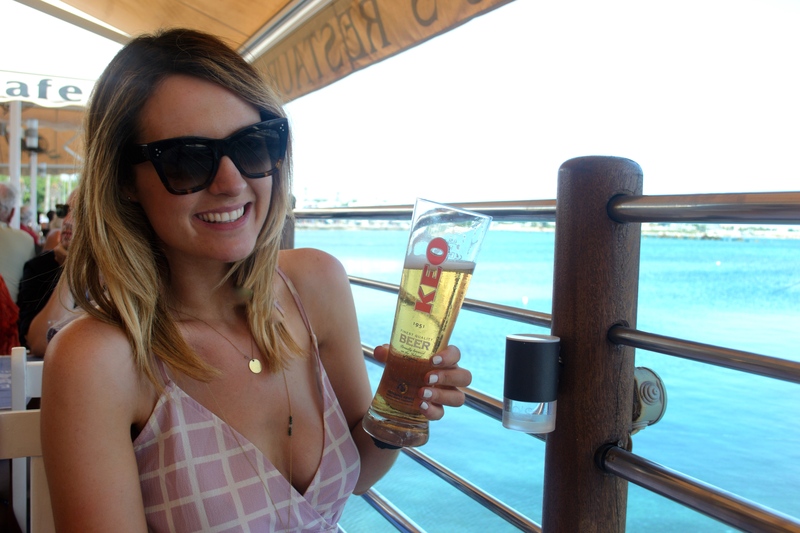 I would also recommend trying KEO which is a Cypriot beer. It is a light straw-coloured lager with a thick head. The beer is brewed in Limassol, in Cyprus. It really hit the spot on such a hot day. 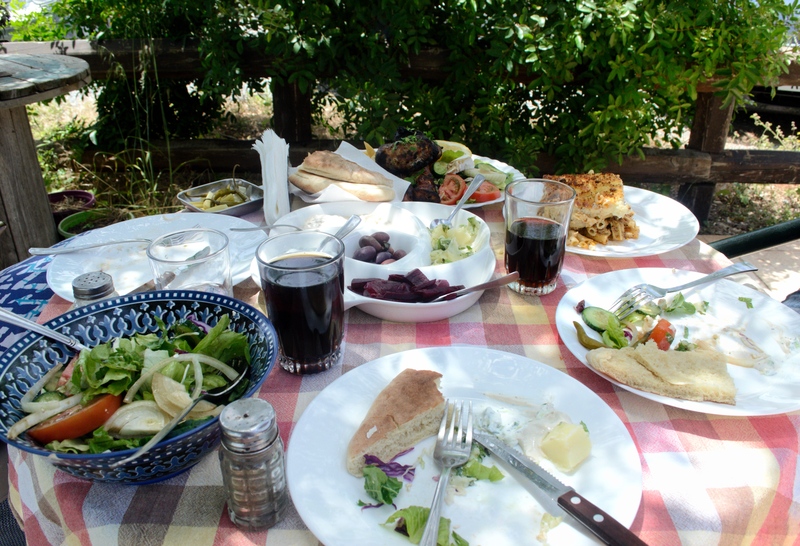 On our second day we stopped off at Fytos Taverna to indulge in more traditional food. 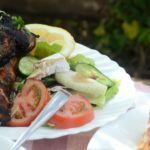 I really enjoyed the Souvlaki which is a type of pork kebab served with pitta bread and freshly cut salad and pickles. 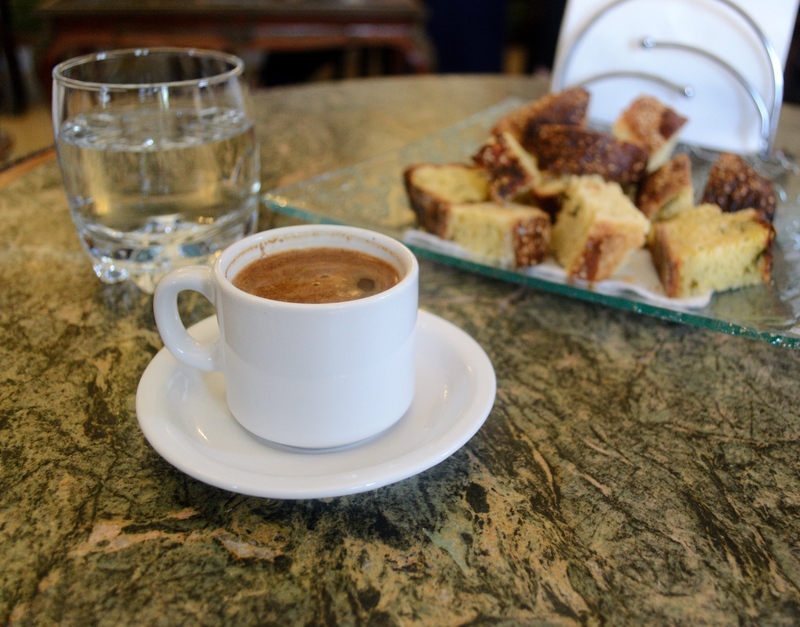 It is a smaller version of Souvla. 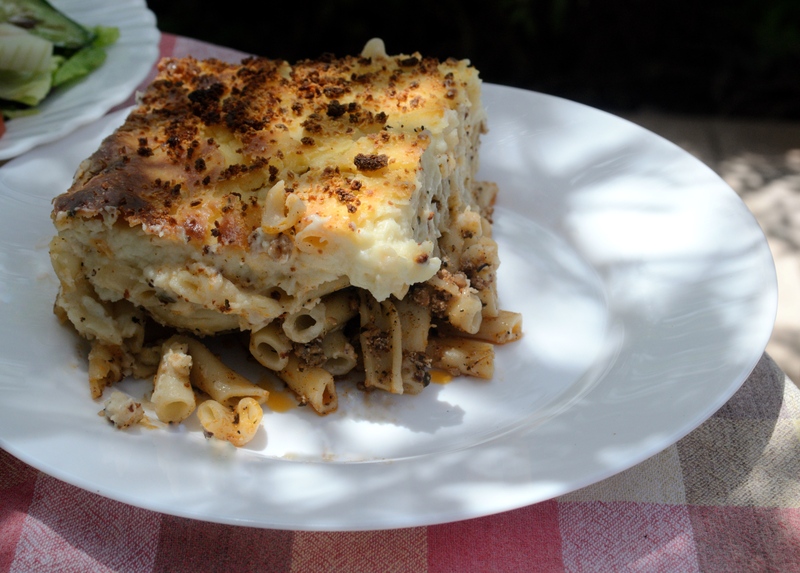 Another dish I liked was Pastitsio, a baked pasta dish that contains ground lamb and béchamel sauce. 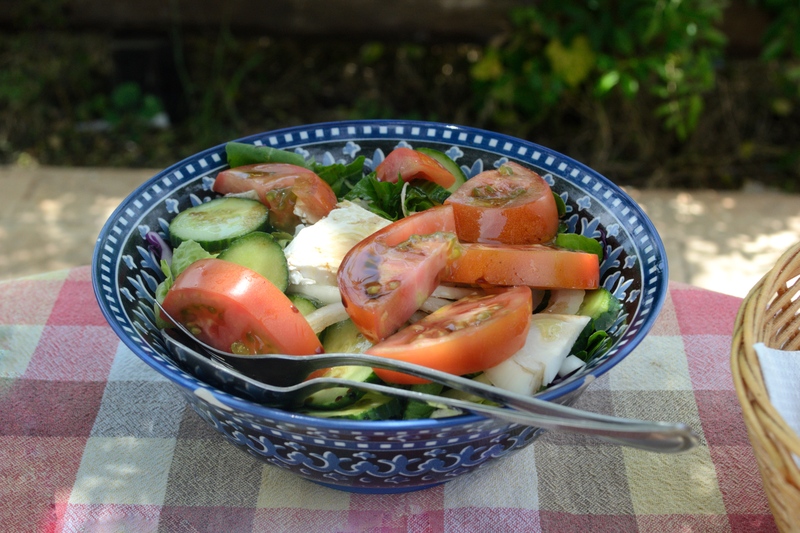 Also, if you’re a fan of cheese you need to try Halloumi. It is the island’s most popular cheese. 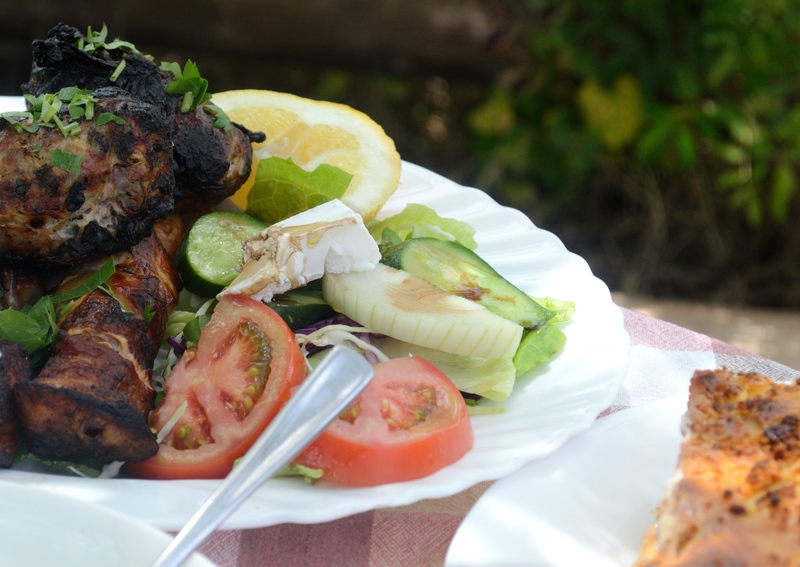 When part of the Cyprus Meze, this rich-flavoured cheese is served grilled. Delicious! 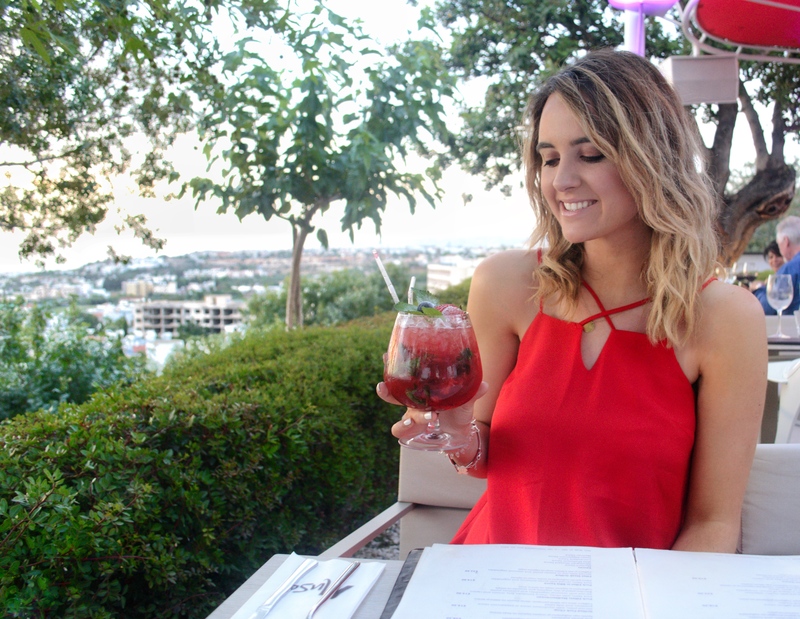 Muse is a perfect spot for breakfast, lunch, dinner and drinks. 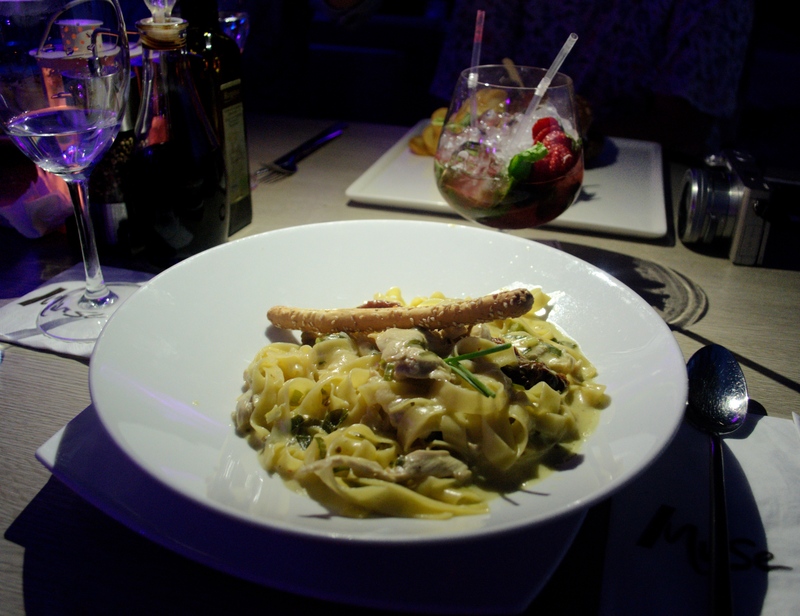 We dined here on our last night in Paphos and it didn’t disappoint. The food and drinks menu was very impressive and the owner treated us to custom-made cocktails on arrival. Janet and I decided to order a few different dishes and they were all delicious. Another well-known dish in Cyprus is a 5 cheese chicken dish with mashed potato. I can honestly say this was perfection on a plate. Chicken and lots of cheese…what’s not to love? We arrived just in time to watch the sunset too. A beautiful spot in Paphos. I would highly recommend this place. We decided to check out the Summer Club on the Saturday night. 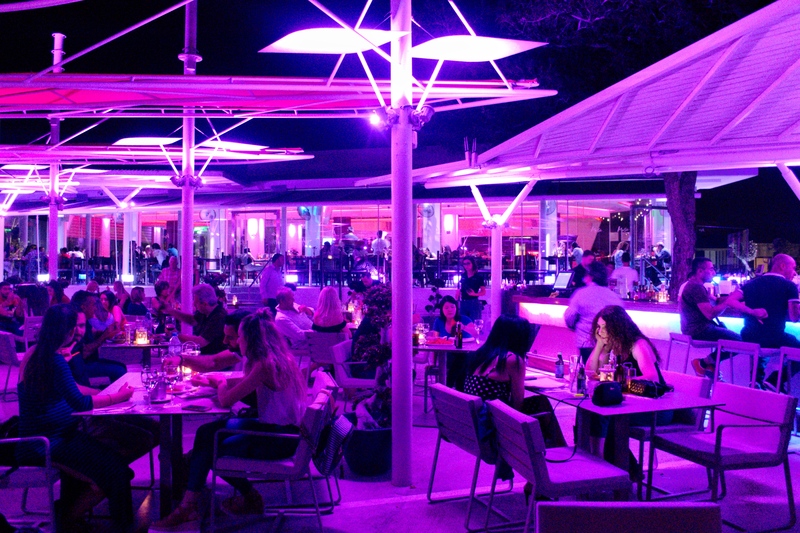 It opened its doors to the public more than 20 years ago and is now one of the oldest clubs by the sea in Cyprus. 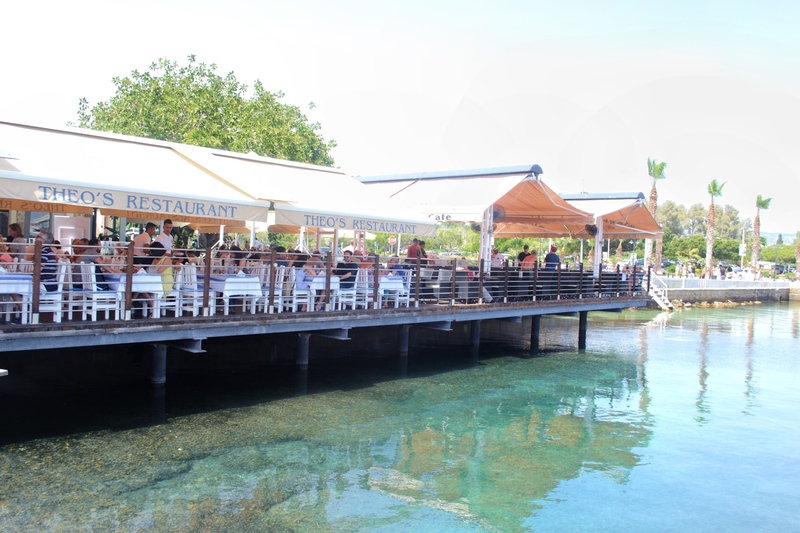 It is a popular destination not only for Paphos citizens but for customers throughout the country. You can reserve tables in advance and entry is €10 plus you receive a complimentary drink on arrival. The venue holds up to 1500 people. Fun fact – they sell 3L bottles of vodka for €550. I was tempted! Another great spot in the heart of the Old Town. The staff were friendly and the atmosphere was very chilled out. I was also a huge fan of the decor. The cocktails were amazing and I will 100% be going back for food as I have heard great things. 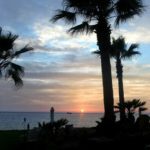 There you have it – my Paphos, Cyprus Travel Guide. I have included as much as possible but if you have any other questions feel free to comment below. Where to next? I will keep you posted! 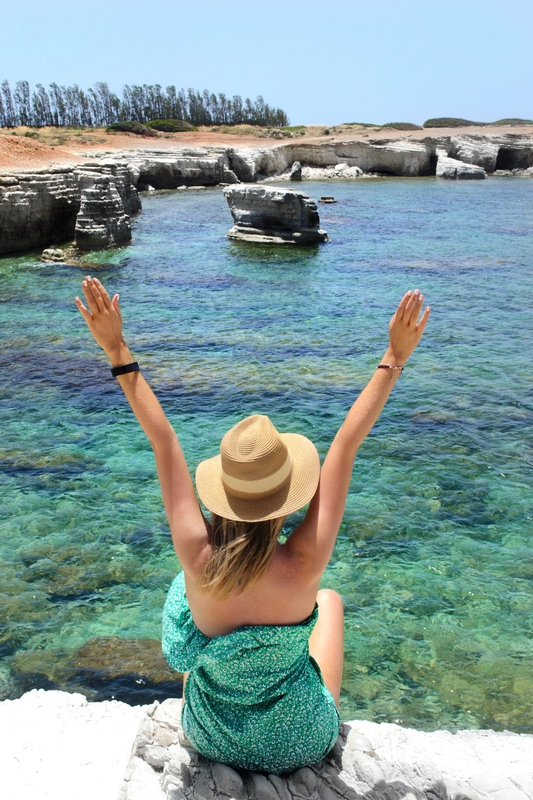 I had the nicest time exploring Paphos, trying local cuisine and taking in all of the views. A huge thank you to Ryanair and the Paphos Regional Board of Tourism for putting together such a great trip. 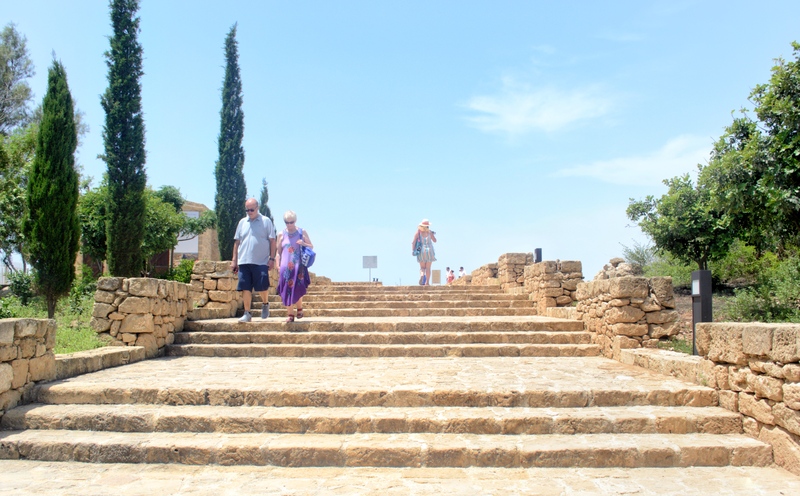 Have you been to Paphos? Comment below and let me know how you got on. Discover more Ryanair destinations here.